The agricultural sector provides the livelihood for more than a million people. Without their commitment the efforts to use water more efficiently will not lead to satisfactory results. Local farmers and their representatives are therefore actively involved in the development of strategies for optimised land use. Several workshops will be run using locally adapted forms of established methodologies like Citizen’s Juries or SWOT and TOWS analysis. A citizens‘ jury is a group of randomly chosen people affected by a specific issue. Stakeholders give input concerning this issue from opposing perspectives. The participants discuss the issue in small groups and agree upon their main statements The members of the small groups change during the day in order to avoid individuals dominating talks. The results of the discussions are summarised in a citizens‘ report. In a SWOT analysis internal strengths and weaknesses as well as external opportunities and threats of possible specific measures are identified. In the TOWS analysis strategy elements for their implementation are developed based on the SWOT results. 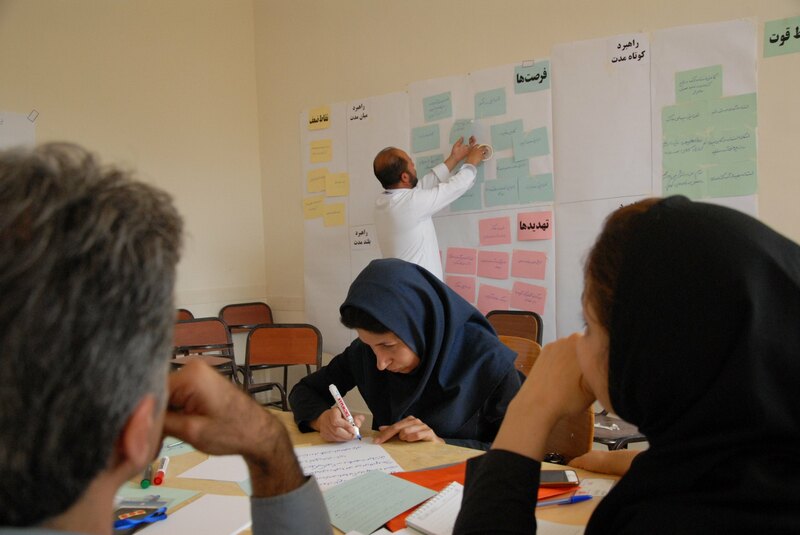 In a first Citizens’ Juries workshop held in December 2016 in Isfahan, around 75 farmers from the entire catchment produced recommendations for feasible farming alternatives. The topics had been defined together with our Iranian partners. They included measures for increasing economic water productivity (more Rial revenue per litre of water) and for increasing crop productivity (more kg yield per litre of water). 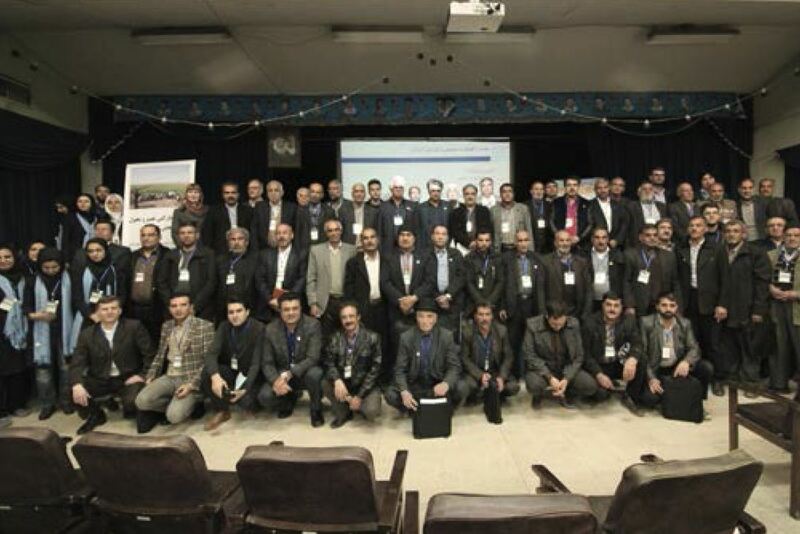 Input presentations were held by lecturers from different Iranian institutions. The main comments and recommendations will be presented to the decision makers in the form of a report. In the second strategy workshop around 60 farmers, scientists and members of the administration participated. Using the SWOT and TOWS analyses they developed concrete recommendations for the strategic direction of the agricultural transformation and related activities. Workshop participants in their working groups. Participants of the first Citizen’s Juries Workshop in 2016. Sense of togetherness: Farmers from Chaharmahal and Isfahan provinces. The recommendations developed during the stakeholder workshops will provide a well-grounded basis for future land use strategies and measures. At the same time, participants and stakeholders should apply the gained knowledge about participative methods in future workshops.